Follow Ramsey County on Facebook and Twitter! Look for environmental updates with #ramseyrecycles. Radon is a natural radioactive gas that you can’t see, smell, or taste. It’s easy to ignore, but it could be present in your home, school, or office. Radon is the second leading cause of lung cancer deaths in the U.S., claiming about 20,000 lives annually, or slightly more than two every hour. The only way to know if you have a radon problem is to test. Order a radon test kit today from Saint Paul-Ramsey County Public Health. Most businesses in the metro area are now required to recycle at least three types of material. By state law, the owner of a commercial building with four or more cubic yards of solid waste collection per week (about the size of a standard dumpster) must collect at least three types of material for recycling. Does your company or building need help to get into compliance? 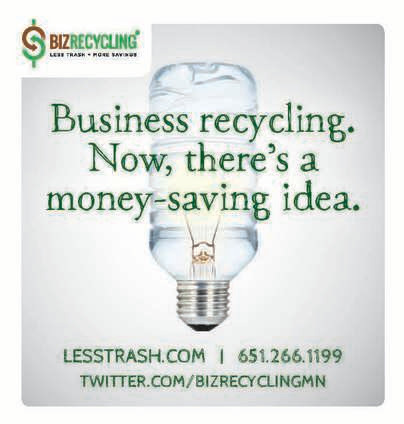 The BizRecycling team will work with you free of charge to design and implement a recycling and/or organics collection program. They will also help you apply for up to $10,000 in grants that can be used for free recycling bins, labels, and more. Call 651-266-1199 or visit LessTrash.com. The Ramsey County Fix-It Clinics, which were launched in June of this year, connect people who have stuff needing to be fixed with volunteers who are good at fixing things. Residents bring items such as small household appliances, clothing, electronics and mobile devices to receive free guided assistance from volunteers with repair skills. 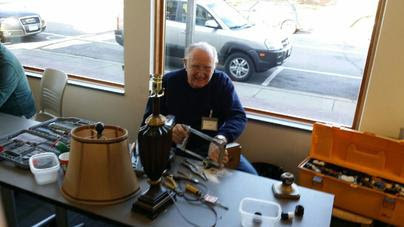 Fix-It volunteers disassemble, troubleshoot and help fix items at no charge. These clinics teach valuable troubleshooting and basic repair skills, build community connections, and reduce the number of repairable objects that are thrown in the trash. To date, over 150 items, totaling almost 1,000 pounds, have been fixed instead of thrown away. Find a Fix-It Clinic near you. Ramsey County recently amended a grant awarded to the City of White Bear Lake to enhance recycling at multi-unit properties in White Bear Lake, Vadnais Heights, Little Canada and White Bear Township, to include the City of North Saint Paul. So far White Bear Lake staff have done extensive outreach to multi-unit property managers and updating the trash and recycling web pages of the four original cities. North St. Paul identified similar issues with recycling at multi-unit properties in their city. White Bear Lake staff will spend the next few months completing the work in the four original cities while expanding efforts into North Saint Paul. 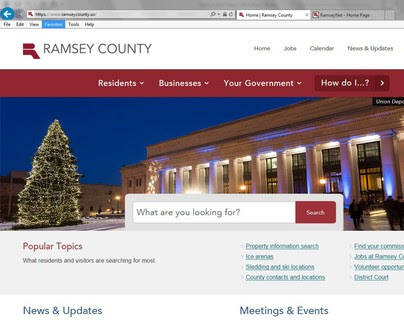 Ramsey County has a new website: www.ramseycounty.us. The old website launched more than 11 years ago and contained more than 2,500 pages. By streamlining content and removing outdated information, the new site launched on December 15th, 2015 with just 550 pages. It’s also easier to navigate and find what you need! For information on our environmental programs, go to www.ramseycounty.us and click on Residents, then Recycling & Waste. « Organics Recycling Goes Citywide this Spring!